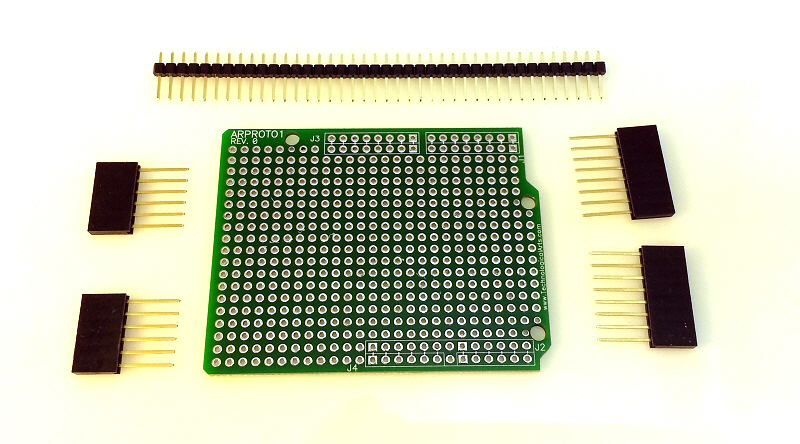 This design consists of a "sea of holes" placed on a 0.1" grid for easy soldering of standard components. 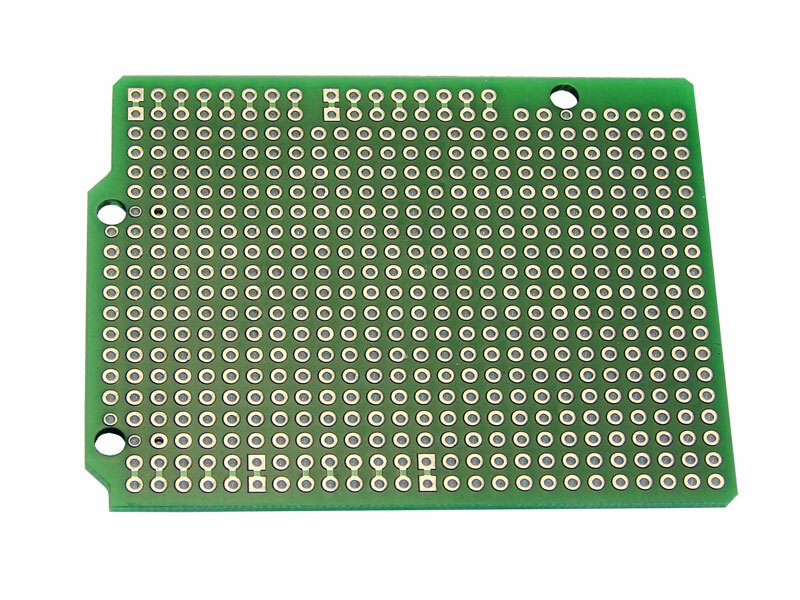 It is a double-sided board with plated-through holes. 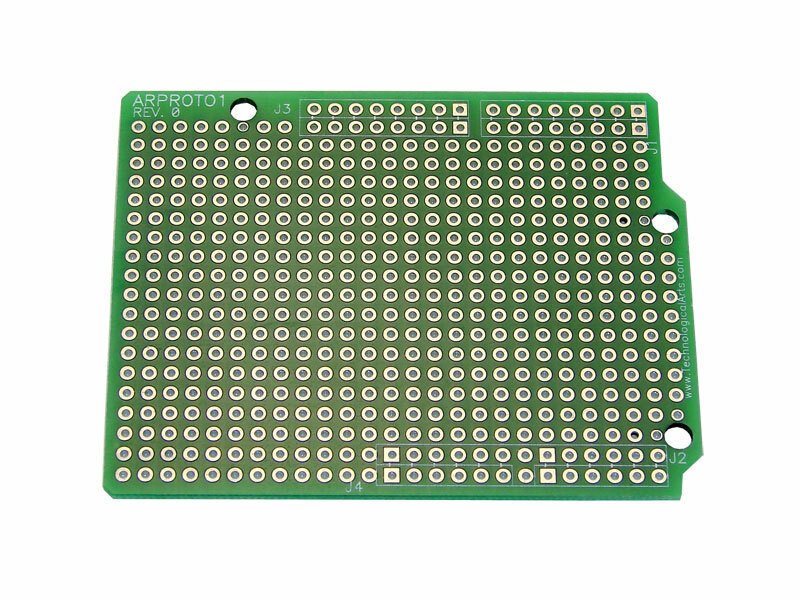 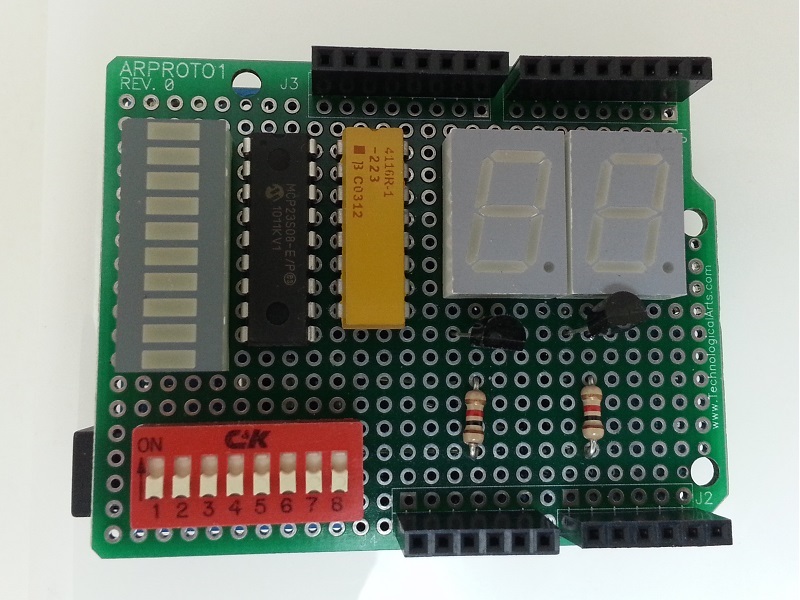 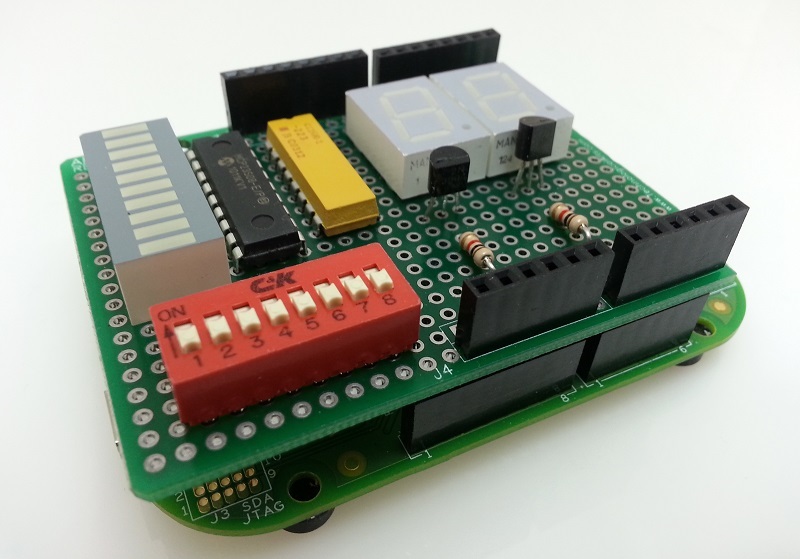 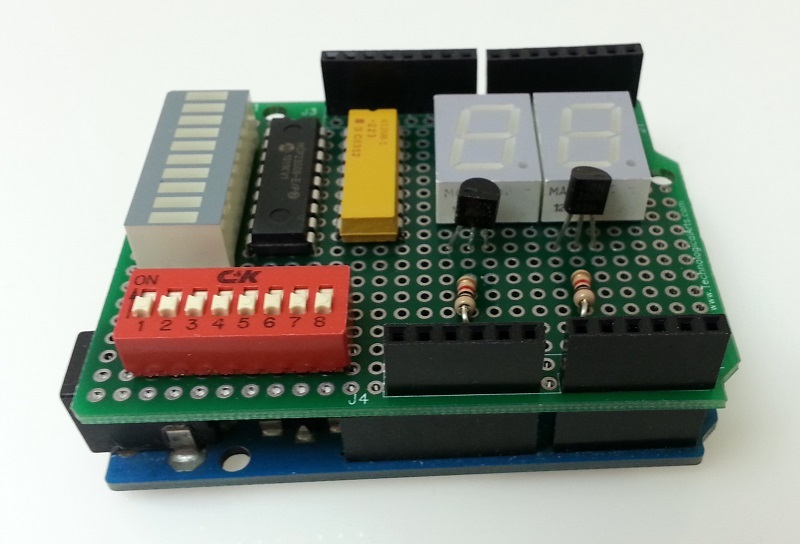 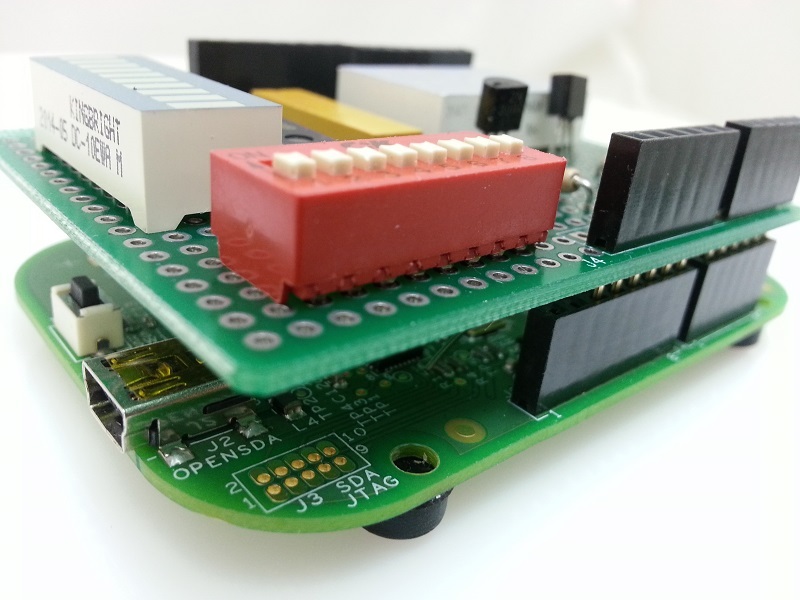 Footprints are provided for standard Arduino/Esduino headers, and each header signal is brought out to an adjacent pad for easy interface to your application circuit.